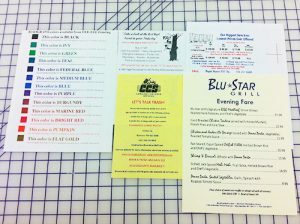 Do you need color flyers or black and white flyers to promote your business or event? 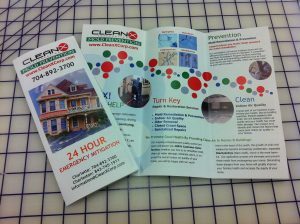 We print all types of flyers from discount pricing up to full color single or duplexed copies. Our lease cost option is for 1 color in black, blue or red ink on basic copy paper. The cost depends on the quantity ordered and can be affected by other finishing options. Options like an upgrade on paper, cutting or trimming, gluing into note pads etc. Our next option is Discount Color Copies. Again the price is dependent on quantity and options. However the price is very competitive. The last option is our color laser printer. It provides very rich and clear copies and some paper upgraded can enhance that. 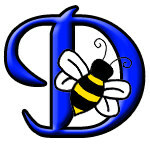 Copyright © 2019 Mooresville Printer. All rights reserved.